Before I go all out with my Fall baking and favourites, and Pinterest explodes with Fall even more than it already is, I needed to share some of my favourite design photos. I had a backlog of Friday Favourite designs, and I thought why not share them all at once instead of trying to mix them into my fall posts! 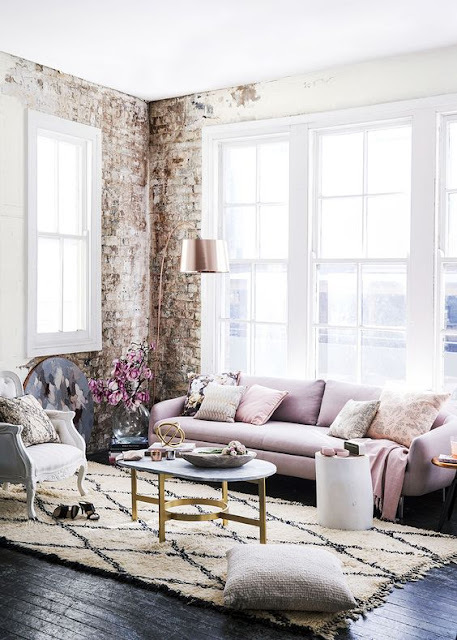 I love all of these spaces and wish they were mine, I hope you enjoy them - and enjoy the weekend! I love the exposed brick, and the soft colours! Plus the gold and rose gold accents, and the beautiful big windows! I love the look of this almost all white kitchen, with the backsplash, and open shelves! This looks like a beautiful desk space! 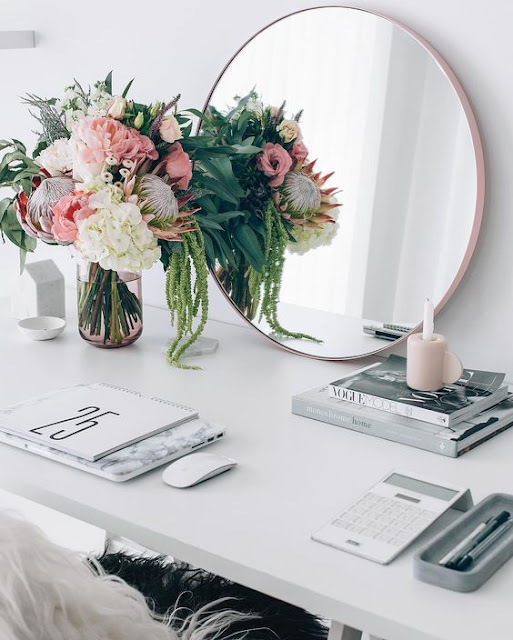 As I make my desk my own at work, I am definitely falling into a similar colour scheme with the accessories! 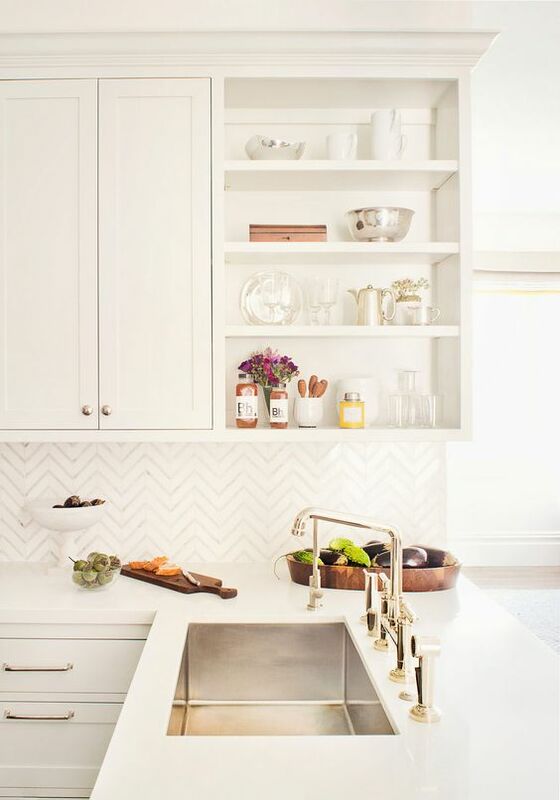 I think I am obsessed with carrara marble tiles - especially herringbone tiles. They are popping up all over and I can't help but dreaming of this in a bathroom or kitchen!! I love the accents in this space! 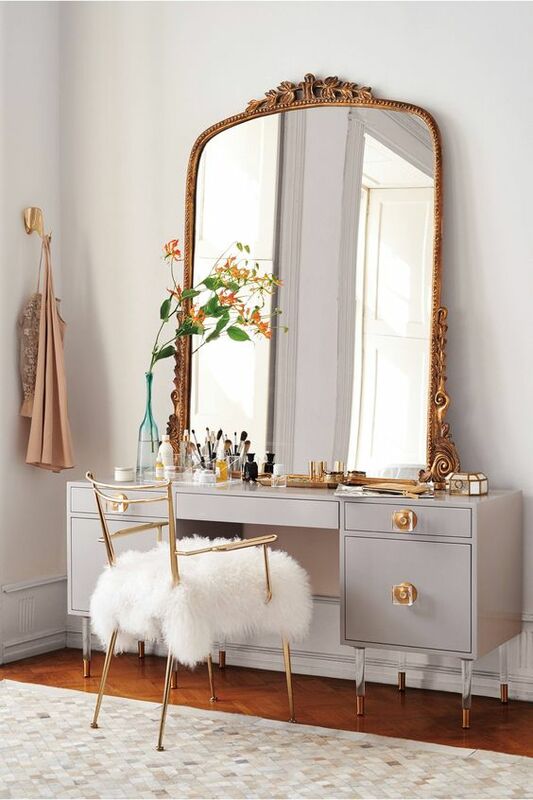 As we get closer to colder weather, I can't wait to buy a faux fur throw or rug for my room! I think they look really chic, though not always as practical in the hotter weather, they are perfect for cool fall weather and winter!